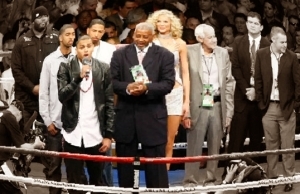 Saturday night at Madison Square Garden, the New York City Fire Departments Bravest Boxing team hosts a charity event that will bring both professional and amateur fighters together for the first time under the MSG roof. Promoted by DiBella Entertainment, Ring of Fire Promotions, and FDNY Bravest Boxing, “McMayhem in Midtown” will consist of three professional bouts as well as an amateur card pitting the New York City Fire Department’s Bravest Boxing team against the Garda Siochana Boxing team of the Irish National Police Force. Headlining the card is Dublin, Ireland’s featherweight contender Patrick “The Punisher” Hyland (29-1, 13 KO’s) as he faces former WBA Fedalatin title holder Manuel de los Reyes Herrera (21-15-1, 15 KO’s) in a scheduled 10 round bout. Hyland comes in off two wins in 2014 after dropping a decision to Javier Fortuna in a 2012 contest for the interim WBA World featherweight title. The nights co-feature marks the ring return of popular New York light heavyweight and four time New York Golden Gloves champion Will Rosinsky (17-2, 9 KO’s) as he faces Paul Gonsalves of Harwich, Massachusetts. Rosinsky comes back after a two year hiatus, last fighting in December of 2012 when he defeated former “Next Great Champ” winner Otis Griffin over 10 rounds. During his time away from the ring, Will became a member of the FDNY, and works in Crown Heights, Brooklyn with Engine 234/Ladder 123/Battalion 38. 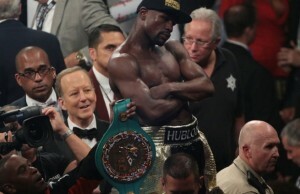 “I can’t wait to be back in the ring, especially in front of my friends, family, and fellow FDNY members”, he said. “I’ve been going to the FDNY fights for years and always wanted to be a part of it but couldn’t because of my professional status. Now that this pro/am show has come together, I not only have the chance to be a part of it but I can also represent myself as a fighter and represent the FDNY as a fireman”. Rounding out the professional portion of the show will be another Irish contender, Gary “Spike” O’Sullivan (13-1, 12 KO’s) the former WBO International and Irish middleweight champion. He comes in on a three fight-winning streak, his lone defeat coming against Billy Joe Saunders nearly two years ago. He faces Milton Nunez (28-12-1, 25 KO’s) a nine year pro out of Barranquilla, Colombia. 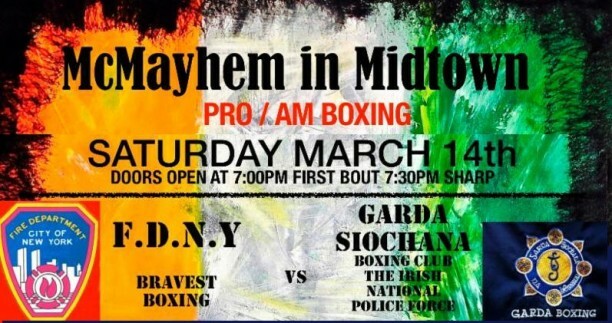 With the 2015 Transatlantic Championship up for grabs, the amateur portion of “McMayhem in Midtown” will be the third time that Bravest Boxing has faced off against the Irish police with each team winning one of the prior two contests. 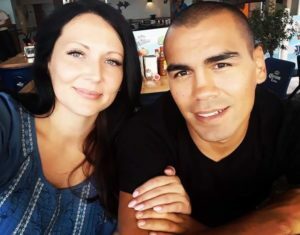 Proceeds from the event will benefit Building Homes for Heroes, an organization that helps severely wounded veterans and their families rebuild their lives by providing mortgage free, handicap accessible homes. 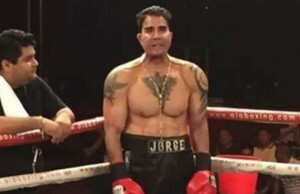 Run by retired NY Firefighter Bobby McGuire, the Bravest Boxing team competes in charity events year round, with their biggest event being the annual “Battle of the Badges” against the New York Police Departments Fighting Finest. The events have benefited organizations such as the NY Firefighters Burn Center Foundation, the Tom Elsasser Fund, City of Hope Children’s Hospital in Los Angeles, NYC Police Athletic League, FDNY Widows and Children’s Fund, the NY Blood Bank, and the Wounded Warrior Project, and that’s just to name a few. So far donations have totaled $100,000 and are still climbing. McMayhem in Midtown takes place March 14 at The Theater at MSG in New York, NY. Event time is 7:30 pm with ticket prices ranging from $35 – $100.